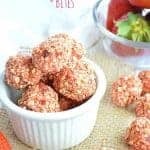 Skinny Strawberry Shortcake Bites. Gluten free and vegan. Perfect for snacking! Did you know it was National Strawberry Shortcake Day the on the 14th? Which means I’m slightly late in getting this recipe up here for you to celebrate. Better late than never though right?! At least we’ll be ahead of the game for next year. 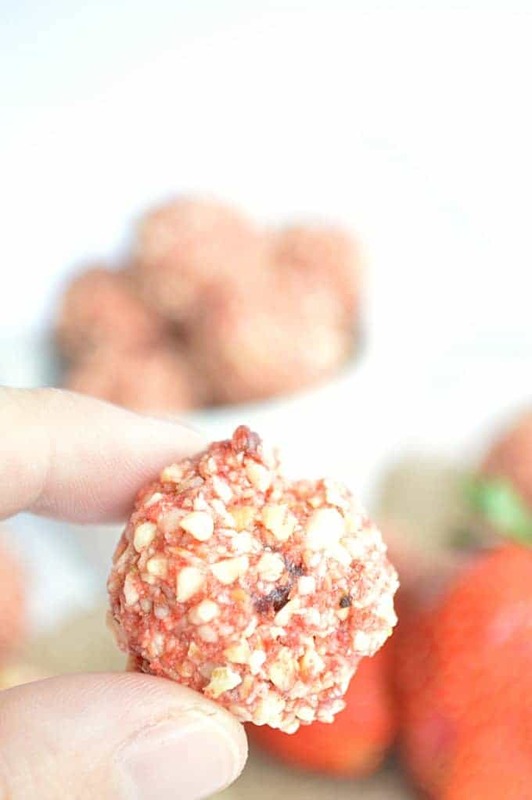 These Skinny Strawberry Shortcake Bites are the perfect way to celebrate too. 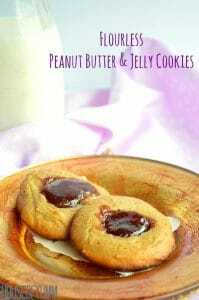 These are healthy, gluten free, vegan, and pink! What’s not to love? These little snacks are so fun, my youngest daughter loves them! Again, they’re pink! Which might explain her love for them. And I can’t really blame her. At least it’s all good ingredients so I didn’t mind her snacking on them all day long. 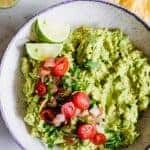 Whenever I make a batch of these skinny bites, or any of the others that I have recipes for (skinny lemon bites, and skinny cookie dough bites) they never last long in the house. The basics of the recipe stays the same: cashews, oats, agave, and now some freeze dried strawberries. You’ll want to make sure you get the freeze dried strawberries, the ones that are almost like a chip. These will grind up in the processor into a nice powder, which is what makes these bites that pretty pink color. If we use regular dried strawberries, which are the chewy ones, they won’t grind up and you’ll end up with big chunks of dried strawberries coated in oats and cashews. Trust me. If you make this recipe make sure you take a picture and share it on Instagram with #houseofyumm ! I love seeing your creations! Follow me for more pictures of food, and the occasional child also. Click here! 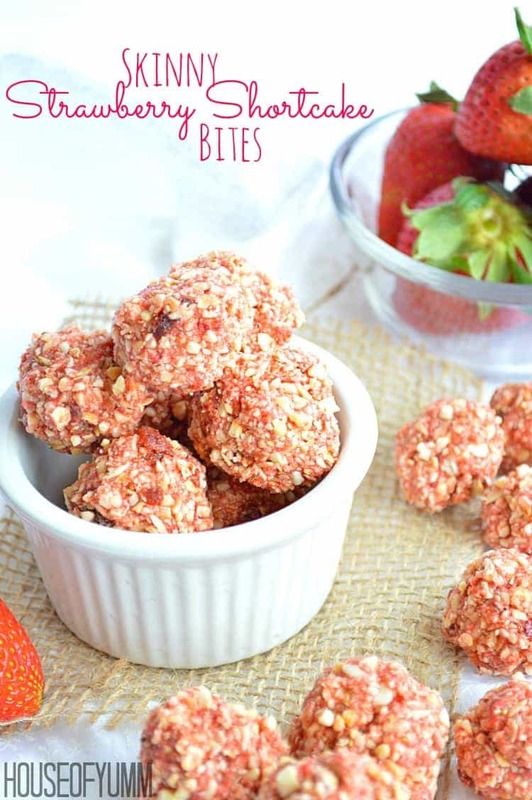 These skinny bites taste like strawberry shortcake! 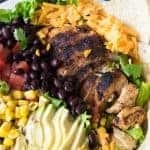 Gluten free, vegan, and absolutely delicious! Perfect for snacking. Add the cashews, freeze dried strawberries, and quick oats into a food processor (affiliate link) or blender. Process for about 2 minutes, or until you are left with a fine powder. Don’t over process or blend, this could cause you to end up with cashew butter. I love anything with strawberry shortcake flavors and these little bites are perfect! 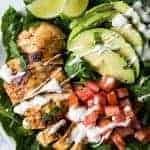 Thanks for including a link to my recipe. I can’t wait to try these little bites! These are amazing. I would recommend making a double batch. They disappear very fast!! Easy to make. Thanks for the recipe. 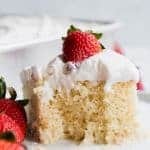 Strawberry shortcake is one of my favorite desserts for summer! Love that you made them into little healthier bites! They sound like the perfect treat! I wanna make this. But i know i have to ask my sister to make this for me. Thanks for sharing. 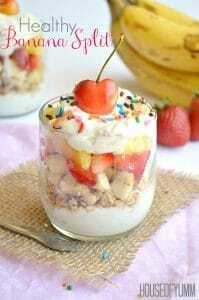 the recipe is great to make.. and looks declious (x thankyou for sharing this. How many calories per bite? These are super delicious and absolutely easy to make. Could these be made without the cashews? We are nut free due to allergies. Hi Rose, sadly this recipe wouldn’t work without the cashews. 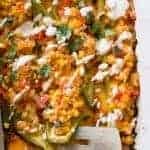 They are the main foundational ingredient to this recipe. These Strawberry shortcake bites really look yummy. My younger brother has celiac disease and he is not supposed to eat gluten. I was searching for Gluten free snack recipes to surprise him. I will surely try them out. 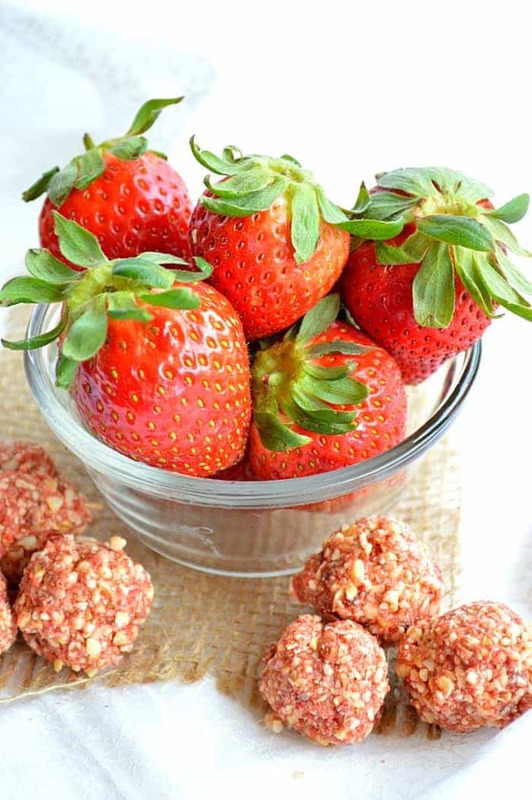 I really like the combination of strawberries and nuts in it.Thanks for sharing the recipe with us. Hi Natasha! I haven’t made these with peanuts before. I have used cashews and mixed them with peanut butter instead of honey if you’re looking for a peanut type flavor. But if you need to replace the cashews due to dietary restrictions then I would imagine it should work out, you need to be careful with peanuts just like the cashews when processing or blending though. If you go too far you will end up with nut butter! If you try out the peanuts let me know how it goes! I used a TBSP of coconut syrup and they tasted awesome. They were a bit runny though. Would you just add more oats to counter-act? Has anyone else had this problem? Hi Keri! If they turn out a bit runny then yes, add a bit more dry ingredient to get the desired consistency. They should be a bit sticky to form into balls.